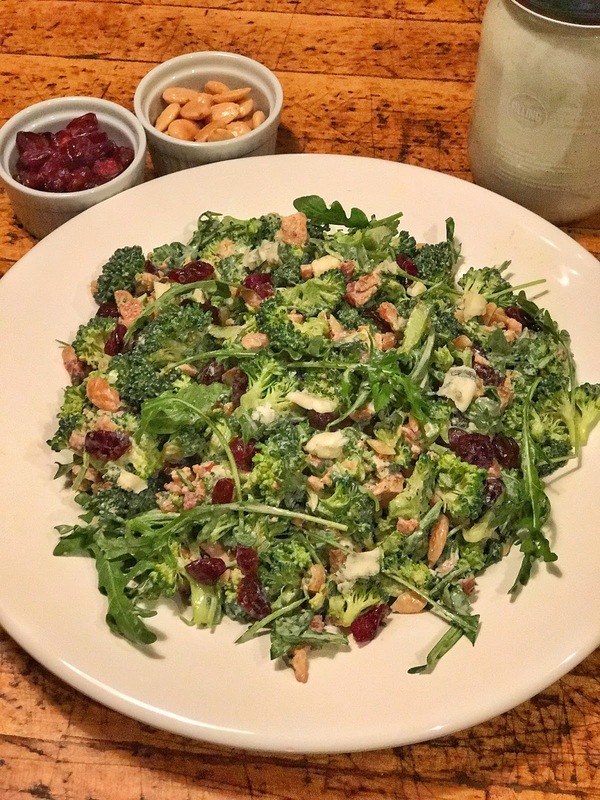 Broccoli Salad….It’s Kind of Healthy! 1. Place a large cast iron pan over medium heat. Cook your bacon strips, blot off any extra grease, and crumble when cooled. 3. Wash your broccoli, dry completely, and chop. Add this to a large mixing bowl. 4. 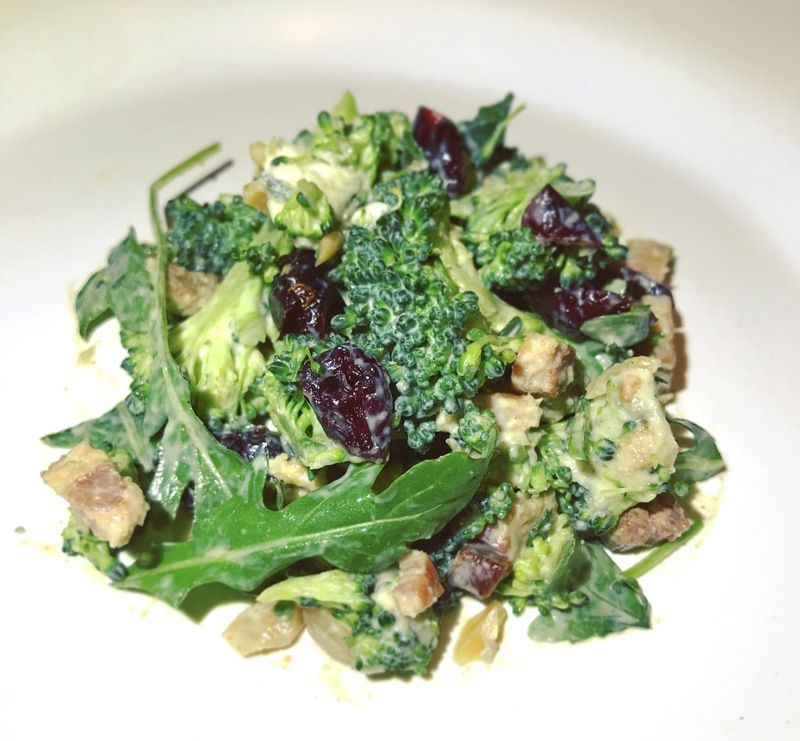 Add arugula, dried cranberries, chopped almonds, blue cheese crumbles, and crumbled pieces of bacon to the broccoli. Give everything a nice toss. 5. Finally lets add the good stuff….blue cheese dressing. My suggestions is to start 1 T at a time, stir, and then add more if desired. 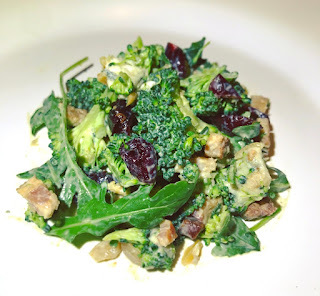 You can always add more dressing, but you can’t take it away after you have added it to your dish. 6. Serve right away with a tasty sandwich or nice bowl of soup. Heck, you could even eat it for a meal by itself.